I receive this book free of charge in exchange for an honest review. A killer is stalking London; a banker is already dead, killed in an explosion, and there are more victims in the killer’s sights. 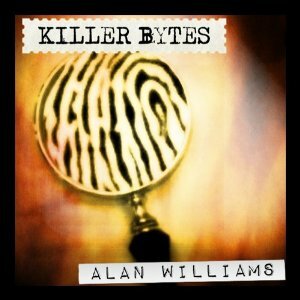 Techno geek and Internet journalist, Wil Jackson becomes inadvertently embroiled in the investigation when he interviews one of the murder victims, and the killer starts communicating with Wil via the Internet. Can Wil help the police stop the killer before the body count increases further? It feels good to read a crime novel without a serial killer in it. Yes, there is a killer but he has a specific goal in mind. The motivation for the killings was a dead give away for me (but I read a lot of crime novels, so that may just be me). A banker and a real estate agent tend to usually be tied in the same type of crimes over and over. However, it was interesting to follow how the killer was going to kill the victims and what Wil’s role was in the story. I like Chief Inspector Gavin Price but there were certain moments that felt like he might have been a “dirty” cop in the past. He felt relatively clean and honest so it wasn’t a huge doubt, it was a really small seed though. The best part of the novel is how it brings the setting to life, especially in the beginning, and in turn, it gives the novel a different feel. As an American reader, my attention is brought to the “tube”and “Inspector.” Instead of inspectors, I’m used to reading about detectives so it helps make the setting more realistic. It brings the feelings of “an other” into the story and makes me believe that I’m in London. That is really fantastic because just mentioning Big Ben doesn’t give the reader a feel for London. My one issue is that I couldn’t get a feel for the characters. I couldn’t picture them in my head too clearly so I had to fill in the blank spots. It wasn’t too bad most of the time. The novel is entertaining and doesn’t allow the reader to wallow in the physical appearance of the characters. Overall, it was an entertaining crime novel. Like Inspector Price and the London setting. Knew what the motivation for the killer was but it was fascinating to go through the process. I receive no monetary compensation for my review. It is a boiling hot Boston summer. Adding to the city’s woes is a series of shocking crimes, in which wealthy men are made to watch while their wives are brutalized. A sadistic demand that ends in abduction and death. The pattern suggests one man: serial killer Warren Hoyt, recently removed from the city’s streets. Police can only assume an acolyte is at large, a maniac basing his attacks on the twisted medical techniques of the madman he so admires. At least that’s what Detective Jane Rizzoli thinks. Forced again to confront the killer who scarred her—literally and figuratively—she is determined to finally end Hoyt’s awful influence . . . even if it means receiving more resistance from her all-male homicide squad. But Rizzoli isn’t counting on the U.S. government’s sudden interest. Or on meeting Special Agent Gabriel Dean, who knows more than he will tell. Most of all, she isn’t counting on becoming a target herself, once Hoyt is suddenly free, joining his mysterious blood brother in a vicious vendetta. . . . The second book in the Rizzoli and Isles series doesn’t disappoint very much. We are introduce to more characters that appeared in the TV show and a love interest for Rizzoli. The same serial killer, Warren Hoyt, is back to torment our main character and company. His perspective is still creepy. This book introduces Dr. Maura Isles or also known as Queen of the Death. I was looking forward to her appearance but she is not like in the TV show because she doesn’t have the camaraderie with Rizzoli yet. Detective Korsak comes into the picture as well. 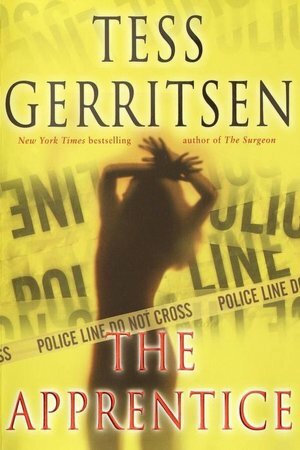 Gerristen constantly reminds the reader that he is overweight. Rizzoli constantly describes him as greasy, sweaty, plus with unhealthy coffee habits. I’m not sure if I’m fond of the repetition of him being overweight. Let’s talk serial killer. In this segment, Hoyt and unknown serial killer team up (after Hoyt escapes from prison) and attacked women. Technically, they only killed one woman together but nonetheless, proceed to play psychological games with Rizzoli. I personally like the in-deep analysis behind Rizzoli. It makes her more human than in the first book. The Surgeon was about Rizzoli proving her worth in a male-dominated business whereas this book focuses on the scars she obtained from Hoyt and how it affects her life. I find this to be an important step because events leave fragments in people and it is important to acknowledge that those memories change our way of thinking or perspective of life. There was this emphasis on portraying Rizzoli’s vulnerabilities as a woman in terms of her family and her job. Her family considers her the black sheep in the family which is quite sad. She performs her duty as a daughter yet it is the absentee male son that her family prefers. It is really hurtful and adds to the complexity that is Jane Rizzoli. Her family life isn’t the only place where her vulnerabilities are seen. The FBI agent Gabriel Dean also wants her to admit her status as a victim because she is a woman who was tortured by an unsub. He classified her as a damaged woman and tried to get her to admit this fact in a confrontational and psychological conversation which she obviously did not respond very well. I have to admire that; she will not see herself as a victim even if certain behavior allude to this fact. A romance does develop between them which I like because she deserves some something happiness in her life. I’m looking forward to seeing how the romantic relationship develops between Rizzoli and Dean or if it is going to drop dead in the next book. With the intro of Dr. Isles, I’m wondering how Isles and Rizzoli become friends outside of the morgue. I realize that I didn’t emphasize the serial killer so I’ll end with him. I was not expecting all the bureaucracy that this particular unsub brought. It was interesting because it was a war criminal. Very similar to the serial killer in the second book of Dexter. 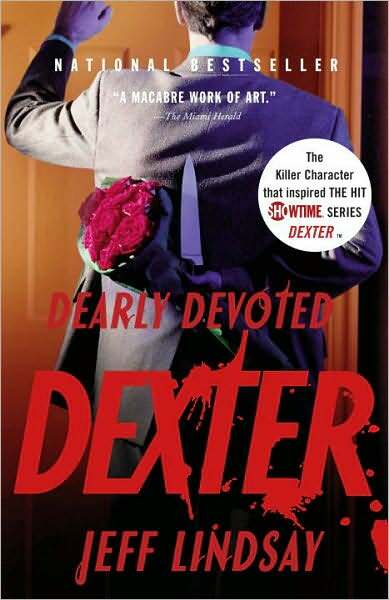 He was definitely not as creepy as the serial killer from Dearly Devoted Dexter though. Life’s tough for Dexter Morgan. It’s not easy being the world’s only serial killer with a conscience, especially when you work for the Miami police. To avoid suspicion, Dexter’s had to slip deep into his disguise: spending time with his girlfriend and her kids, slowly becoming the world’s first serial killing couch potato. Then a particularly nasty psychopath starts cutting a trail through Miami — a killer whose twisted techniques leave even Dexter speechless. When his sister Deborah, a tough-as-nails cop, is drawn into the case, it becomes clear that Dexter will have to do come out of hiding and hunt the monster down. Unless, of course, the killer finds him first. . .
Oh Dexter, how I have miss your sarcastic nature. He is the most charming and funny serial killer I have ever read. The fact that Dexter is the protagonist doesn’t hurt either. I find this novel more exciting than the first novel. Dexter was much more intelligent in pursuing his killer instincts and is very patient. Dexter is patient when it comes to acquiring the man the Dark Passenger wants to kill, patient in dodging a stalker, and patient to play a domestic man. Dexter shows he can actually track down other serial killers through computers and his careful planning instead of receiving cryptic dream messages (like in the first novel). In this novel, Dexter isn’t the one doing most of the killing. He is playing a domestic man because Sergeant Doakes is pretty much stalking, oh, I mean, has placed Dexter under surveillance. It forces Dexter to reluctantly spend more with Rita because that is what a normal man does; hangs out with his girlfriend and her children. She places Dexter in a situation he had never imagined before. It’s quite hilarious. Sands further shows Dexter’s gentle side and love for children. 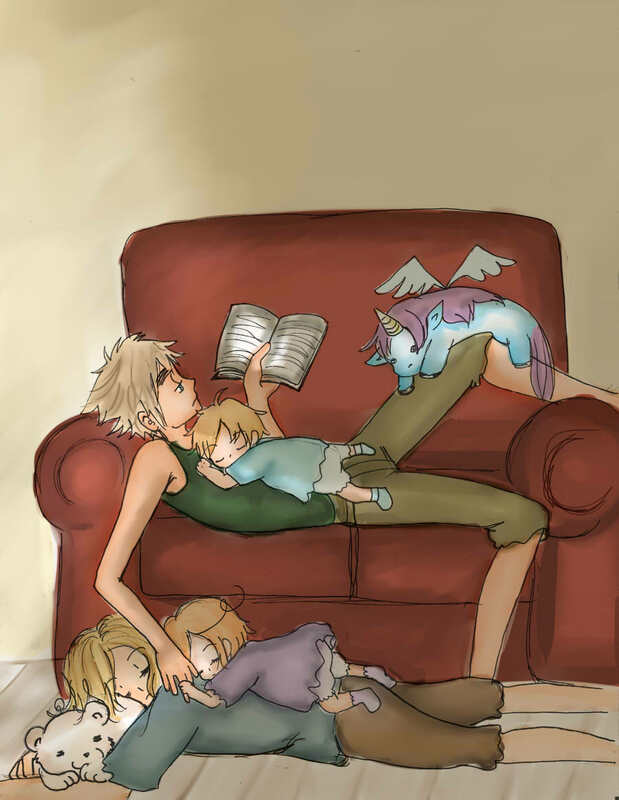 He is very caring to Rita’s children and does not want to hurt children (in general). Unfortunately for the readers and fortunately for Dexter, Astor and Cody(Rita’s children) have a bit of a dark side which raises questions about Dexter as a paternal figure. I’m looking forward to learning about Henry’s rules more in depth since Dexter is going to be teaching them soon. Dr. Danco is one creepy serial killer. He removes the eyelids of his victims and places them in front of a mirror so the victim can see every injury that happens to his body. Twisted is all I have to say about that. He then proceeds to remove body limbs. And what is worst is how he chooses in what order to remove them. I will never be able to look at this particular children’s game the same. But it is very interesting that Dr. Danco chose this game. Let’s just say, the creepy factor is very high. My one issue with this novel is the use of FBI agent Kyle Chutsky. I think he was created solely to be torture by Dr. Danco. He serves no purpose (that I can see). He doesn’t provide Dexter with important information; Dexter figure out most of the information by himself and he had Sergeant Doakes fill in the blank spots. All the agent did was buy crack, fall for Debbie and get mutilated by the good doctor. He didn’t even contribute to the capture of the doctor. He is literally the most useless agent I have ever seen. I don’t know if this was Sands intention but this agent was just design to be a victim. Even if he was the love interest of Debbie and accidentally cause Dexter to become engaged (oops, spoiler). I suppose he was socially useful but not investigation useful. Great dimensions to the personality of Dexter, sarcastic wit, terrifying serial killer and a useless FBI agent is what this novels brings. I love the sarcastic tone of this book, it’s just too funny.